Ebola outbreak, which was originally confined to West Africa, now has reported positive cases across Europe and United States of America. In the past the outbreak has always been limited to impoverished Africa, this year’s panic was triggered by the deadly’s virus’s landfall on shores outside of Africa. Historically, there have been instances whence an epidemic’s outbreak had played havoc to financial markets, like the 2003 Severe Acute Respiratory Syndrome (SARS) episode. When SARS struck, airlines on route to Asia faced a 40% decline in passengers and caused a revenue loss of about $6 billion. It is assumed that the severity of Ebola can dwarf the impact by SARS, if the epidemic spreads. Given the speed with which the virus kills and the efficacy of current containment and isolation protocols (despite a few well publicized slip ups), the global spread of the disease is a low probability event. 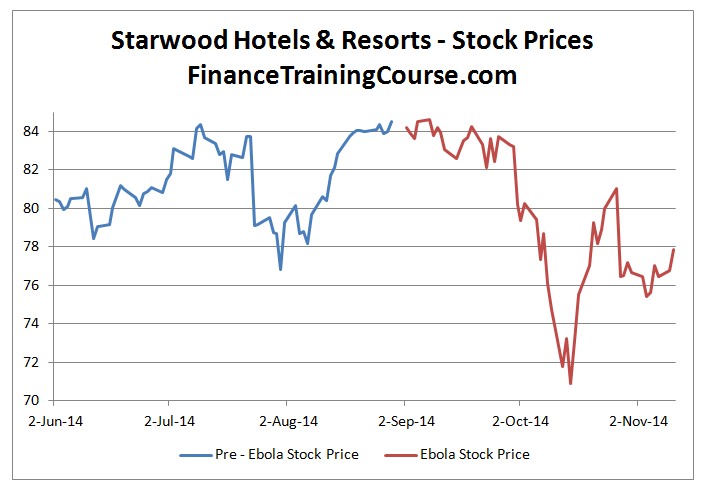 Several airlines and hotels stocks were hit hardest by the Ebola’s scare. 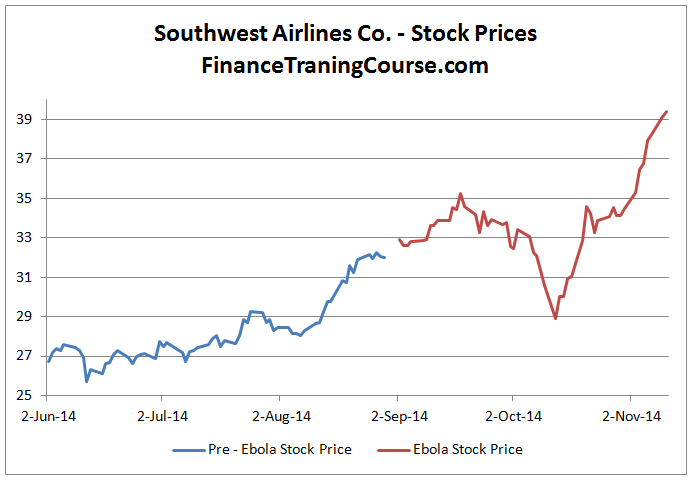 “Although Ebola has had no impact on the financial results of the airlines to date, it is possible to envisage a situation where the disease gets out of control. If investors want to take safety precautions they could lighten holdings.” says Tony Shepard, analyst at Charles Stanley stockbrokers. 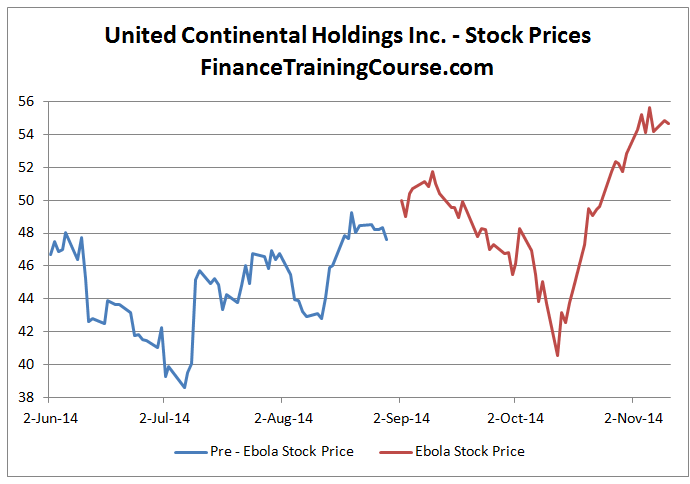 All the stocks show a familiar pattern: After the report of first Ebola case in United States of America on 30th September, 2014, stocks took a nose dive; when the fear receded, stocks gained in value. 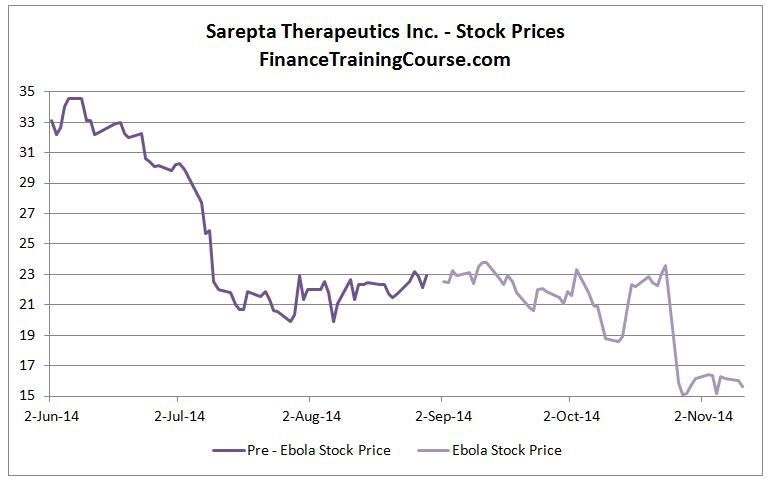 The outbreak also caused an upward bump for selected pharmaceutical stocks. 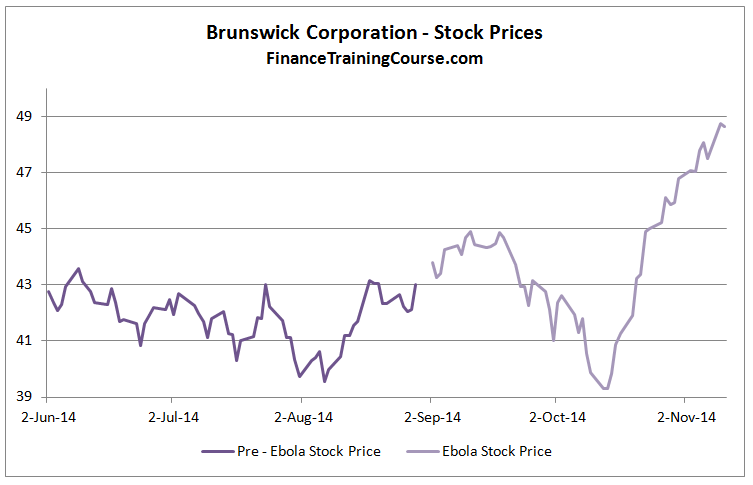 Companies that are working on the cure saw a steep increase in their stock values. Although, the companies in question have informed general public that the likelihood of a cure is small, people are still willing to place bets on them. The stock prices of Brunswick Corporation, Serepta Therapeutic Inc., Invio Pharmaceuticals and NewLink Genetics Corp. saw the impact of this increase albeit in different ways. 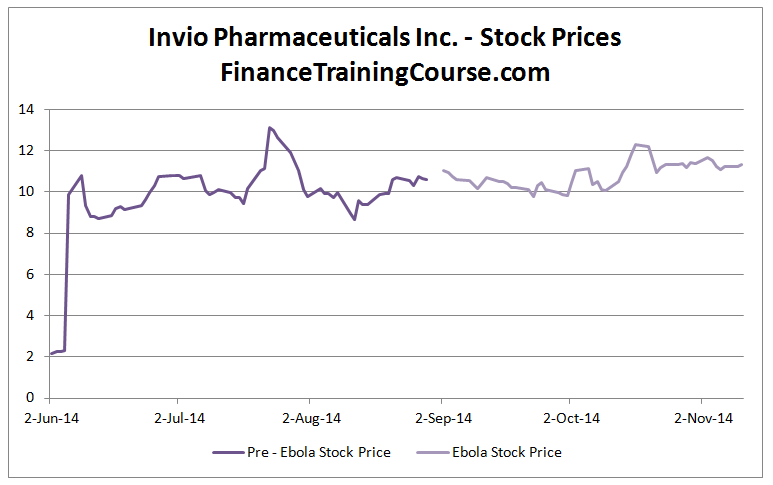 Invio took an immediate hike even before the Ebola news broke on the world’s radar. Serapta took a nose dive at the same time. 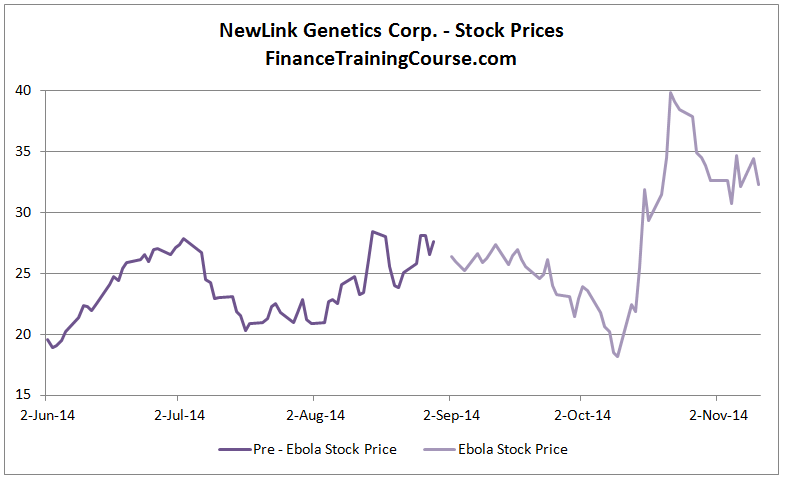 Burnswick and NewLink benefited the most when the first Ebola case was diagnosed outside of Africa. 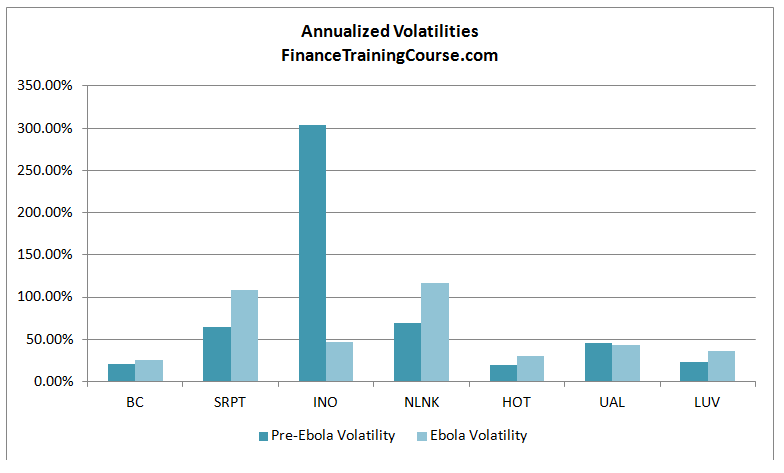 How doe Pre and Post Ebola outbreak volatility compare for the above stocks. Here is a quick look. The pre move in Invio stands out and will possibly have some repercussions on a later date. Next Next post: Talent Management – PASHA ICT Awards Conference – 2014.